Give engineering education a boost. "TeachEngineering.org is a collaborative project between faculty, students and teachers associated with five founding partner universities, with National Science Foundation funding." continues eSchool News. The collection continues to grow and evolve with new additions submitted from more than 50 additional contributors, a cadre of volunteer teacher and engineer reviewers, and feedback from teachers who use the curricula in their classrooms. 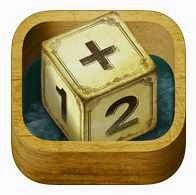 Math app helps young students develop addition, subtraction skills. Features: The exercises that can be found in Mathcubes Addition and Subtraction cover a range of ages that go from 3 years old, to help students become familiar with numbers, up to 8 years old, with combined sums and subtraction operations. In Mathcubes children will see cubes jumping and bouncing around them, they will be able to throw them against each other, pile them up and drop them, interacting at a level never seen before. Adapted to encourage learning through experimentation. Intelligent system of exercises that allows adapting the difficulty to the child’s level. Prizes and rewards to motivate children and encourage its usage. All the exercises are strengthen by a system of utterances that works in several languages: English, French, German, Spanish and Italian. Alternative graphic set prepared especially for children with learning difficulties or visual challenges.